There was once a princess who was searching and searching for her valuable necklace, only to find it later hanging on her neck. This is an analogy we often use in our spiritual practice to describe that all the treasures of peace, love and happiness that we seek outside actually lie already within us and it's only there that one must seek to find them. When we start living our own truth, an automatic mechanism that takes place is appreciation. Appreciation of whatever life holds for us & all things that surround us. Economy, good evaluation & best use of the resources follow natural. Those who happen to care for a garden often enjoy observing the processes of nature, her spirit of generosity and the fact that we don't really need much to fill our plates with goodness. It's often though that we don't know that our garden -even if that comprises of a few pots in our balcony- may bear a treasure-store of goodness to our plate. This fresh summer season's salad is coming straight from the GreenAngel yogic urban garden in Athens. 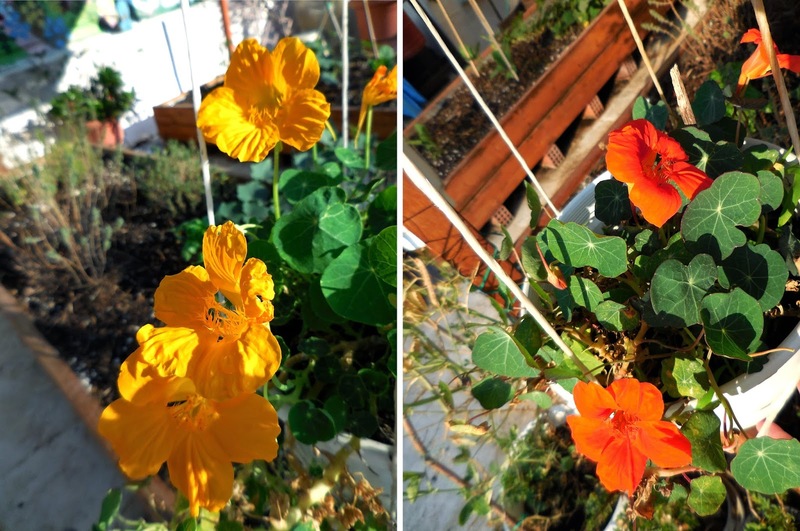 Easy to grow Nasturtium flowers. Apart from the colorful addition to the salad they carry a quite intense spicy flavor. Weed it or eat it? Purslane comes usually as an unwelcome guest in our garden. Few however know the medicinal properties that this common weed carries. 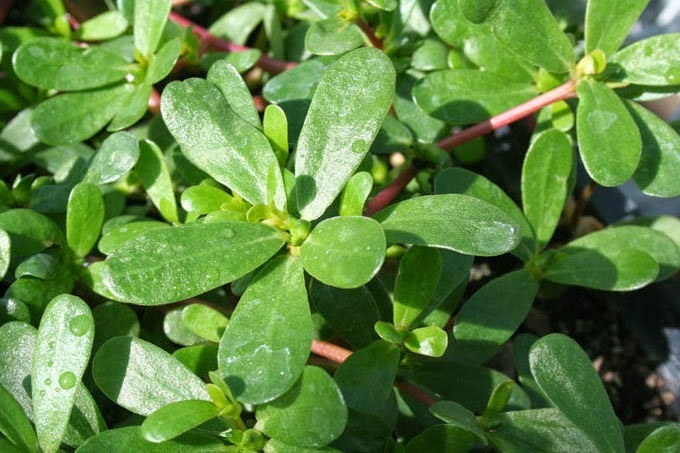 Purslane or else Portulaca oleracea is used in the traditional Chinese medicine, it improves a weak digestion and is a great source of Omega-3 fatty acids. These are the first fruits coming from the garden. 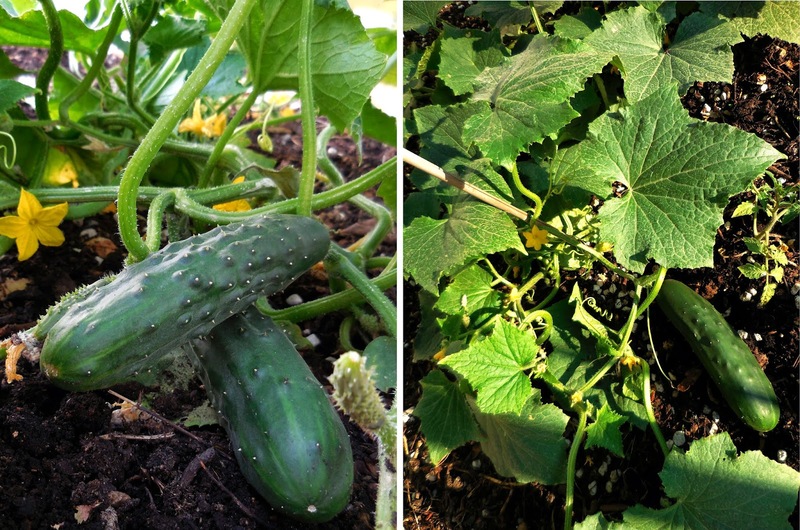 Cucumbers filled with yoga power! Wash everything thoroughly, treat the flowers gently though. Cut the cucumber in thin slices and pour on the apple cider vinegar. Leave aside to marinate for 5min. Combine the herbs with the cucumber, add the flowers and sprinkle with the olive oil.